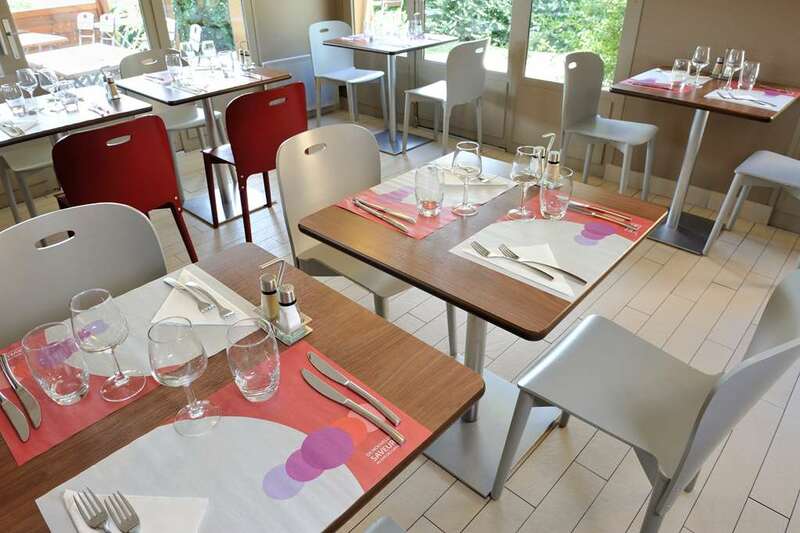 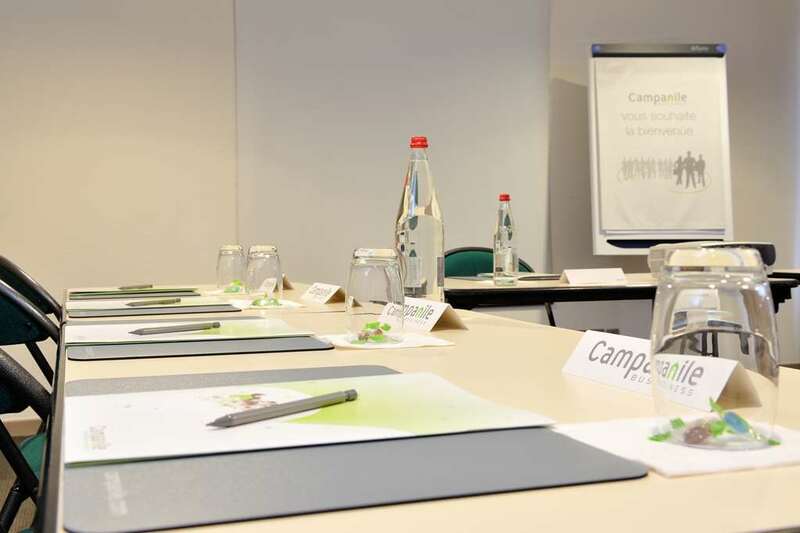 Your Campanile SAINT ETIENNE EST - Saint Chamond hotel is situated in the ideal spot for you to access all the facilities and activities on offer in Saint-Etienne and Saint-Chamond. 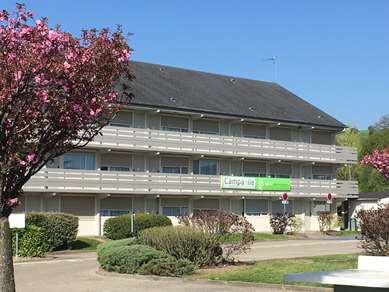 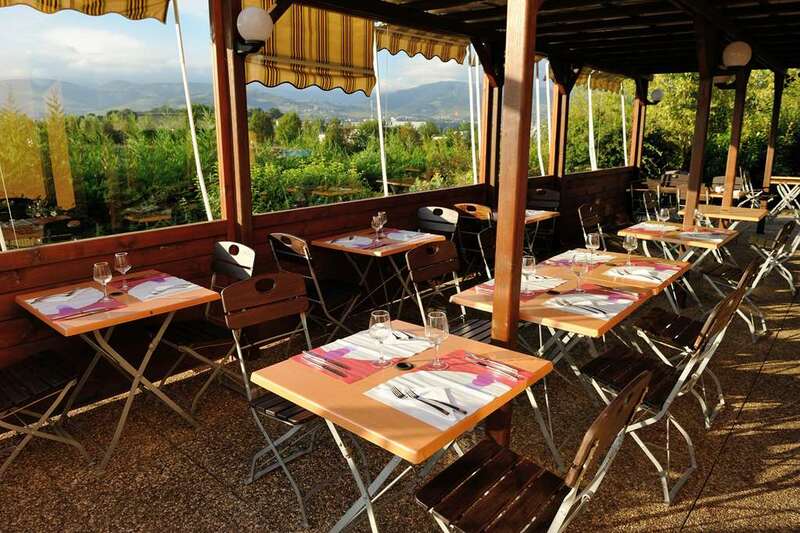 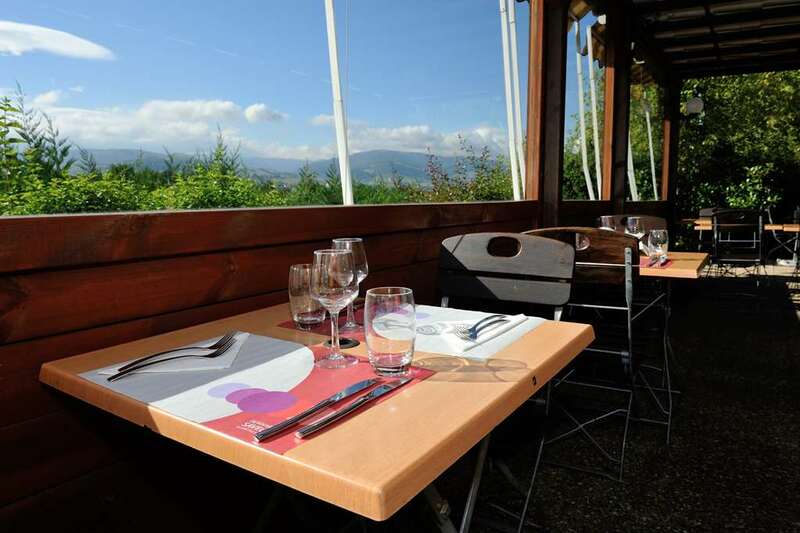 The nearest train station is the Gare de Saint-Chamond, 5km to the south-west of the hotel. 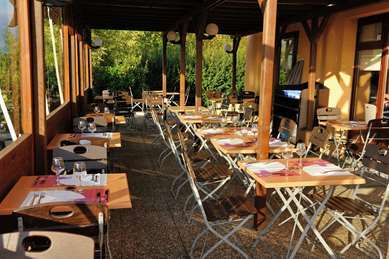 It provides regional services, and from Lyon you can catch connections to all the major cities in France. 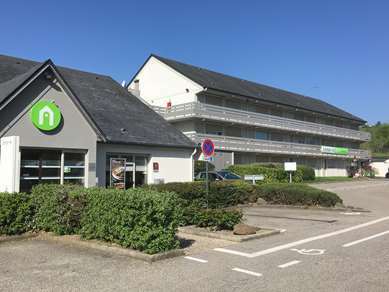 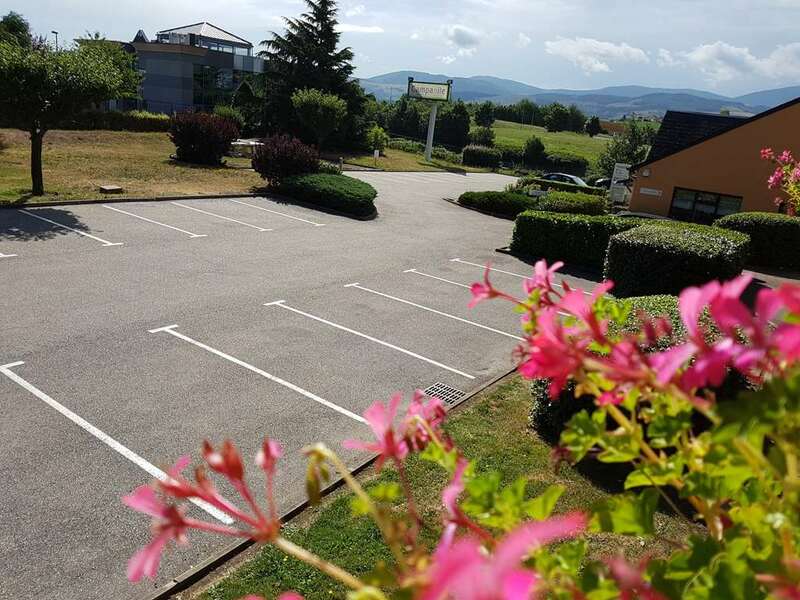 The A47 runs just to the north of the hotel, linking Saint-Chamond to Lyon (48km) in the north-east via the A7, and Roanne (97km) in the north via the A72. 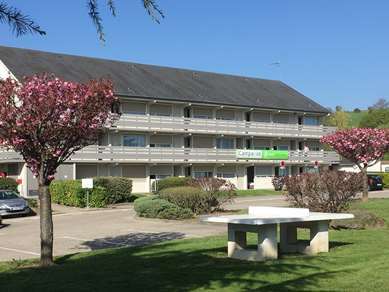 The nearest airport is Saint-Étienne - Bouthéon Airport, 30km to the north-west of the hotel, and Lyon-Saint-Exupéry International Airport is 61km to the north-east. 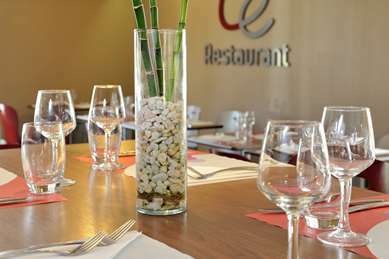 Your Campanile SAINT ETIENNE EST - Saint Chamond is in a great spot for sporting and leisure activities with a cinema 5km away, and a theatre and casino within 50km of the hotel. You will find a shopping centre, snooker hall and nightclub 15km from the hotel, and for sporty guests, a golf course and ice-skating rink are 20km away. 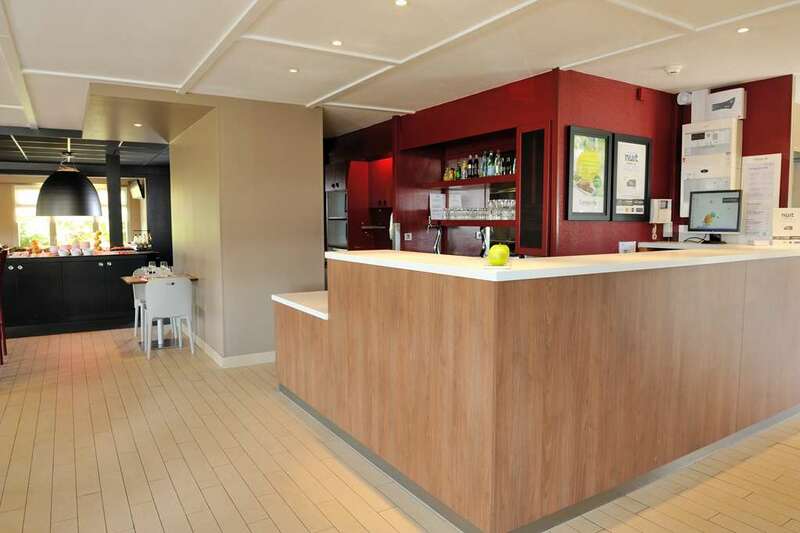 Within 10km of the hotel is a horse riding centre and swimming pool. 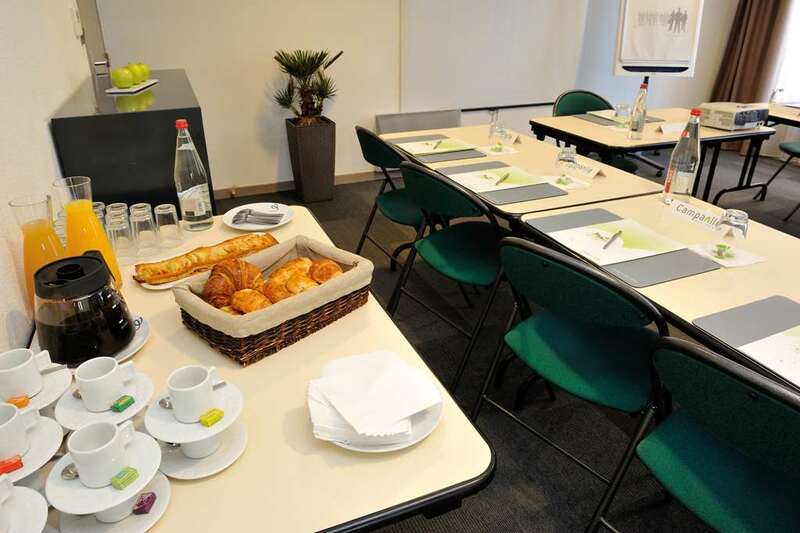 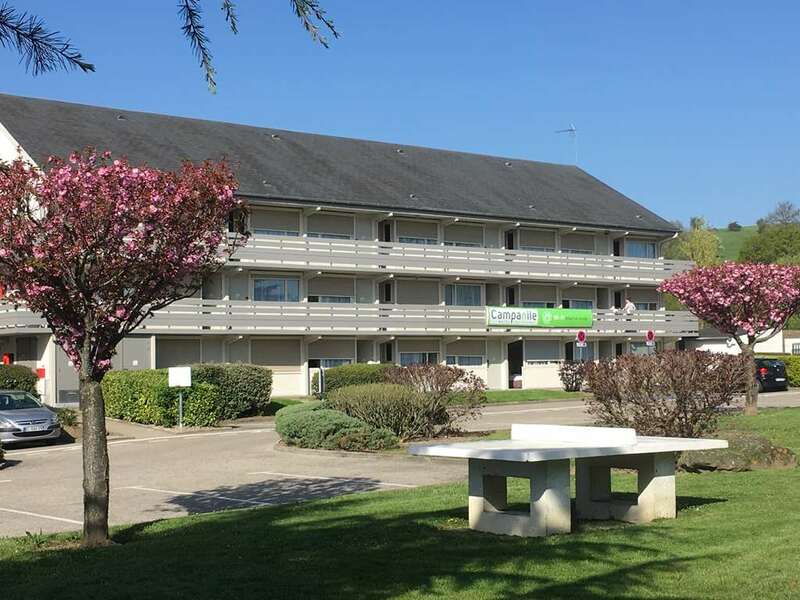 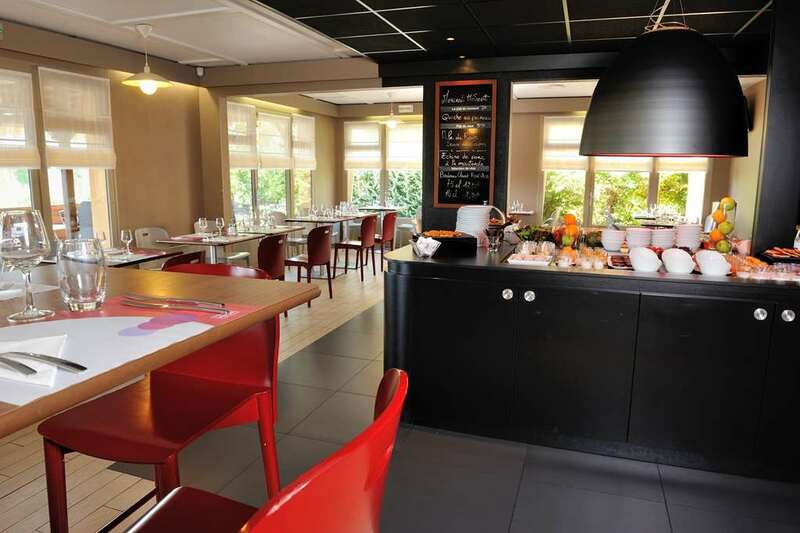 With 48 rooms available, including 19 double rooms, 17 twin rooms and 8 triples, your Campanile SAINT ETIENNE EST - Saint Chamond hotel is suitable for parties of all sizes. 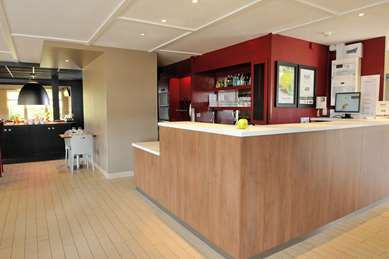 2 rooms are available to reserve for guests with reduced mobility, and appropriate facilities can be found in the main areas of the hotel. Guests have access to free parking, and 24-hour check-in is available. Pets are welcome to stay free of charge, and the hotel staff comprises English-speaking members. 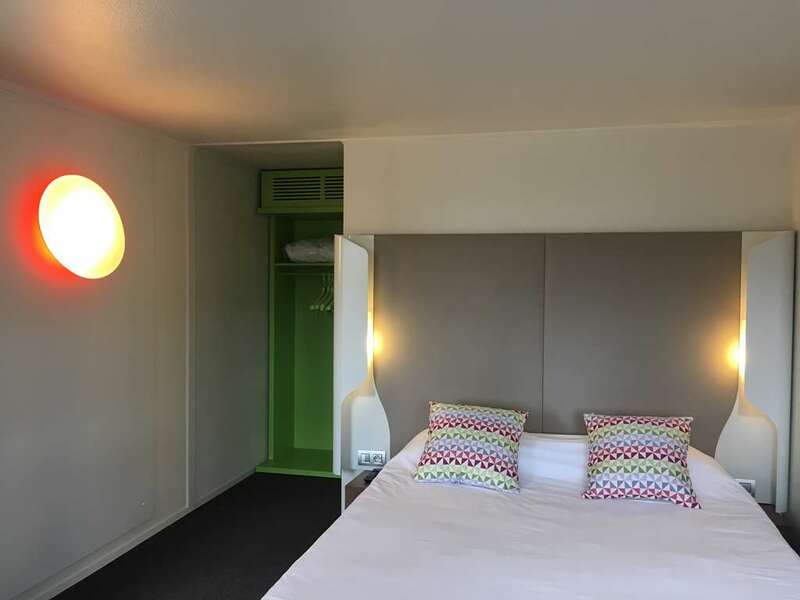 Guest rooms are equipped with air conditioning, Canal+ television channels and alarms, and for guests travelling with young children, one cot is available. 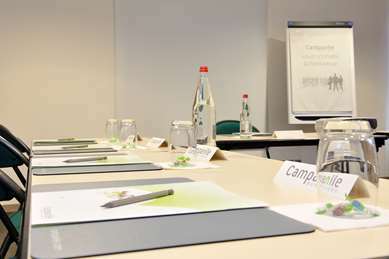 For guests staying on business, a seminar room is available. The hotel restaurant provides a delicious and convenient option for all of your meals. 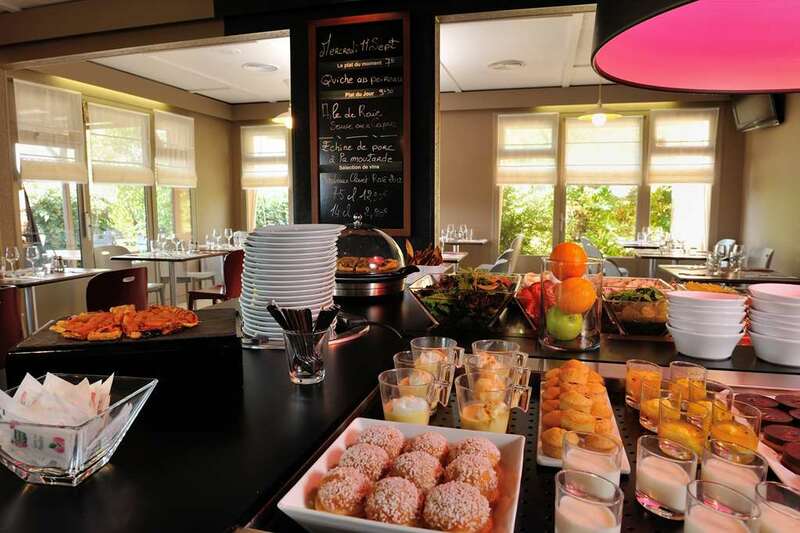 A breakfast buffet is served between 6.30 and 9am on weekdays and 8 to 9.30 on weekends, lunch is between 12 and 2pm and dinner is served between 7 and 10pm. 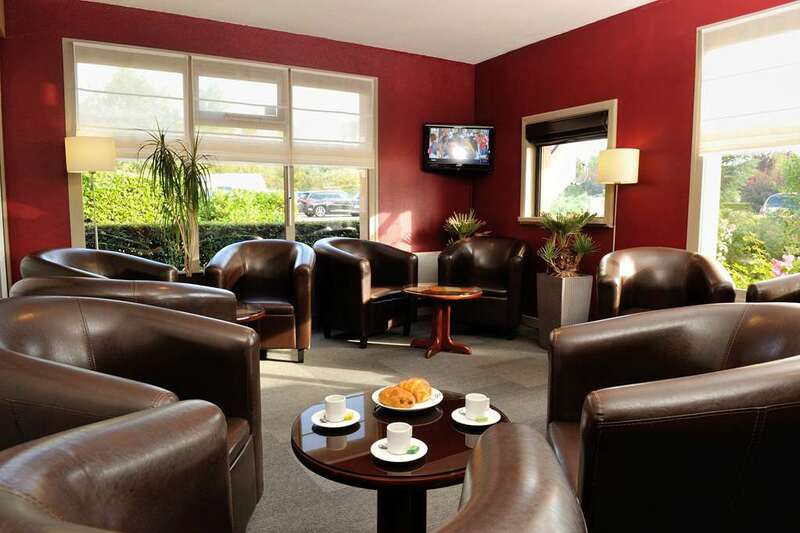 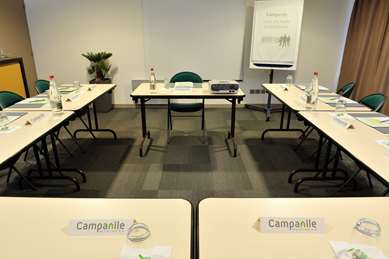 Benefit from the best value for money by booking your room at the Campanile Saint Etienne East Hotel. 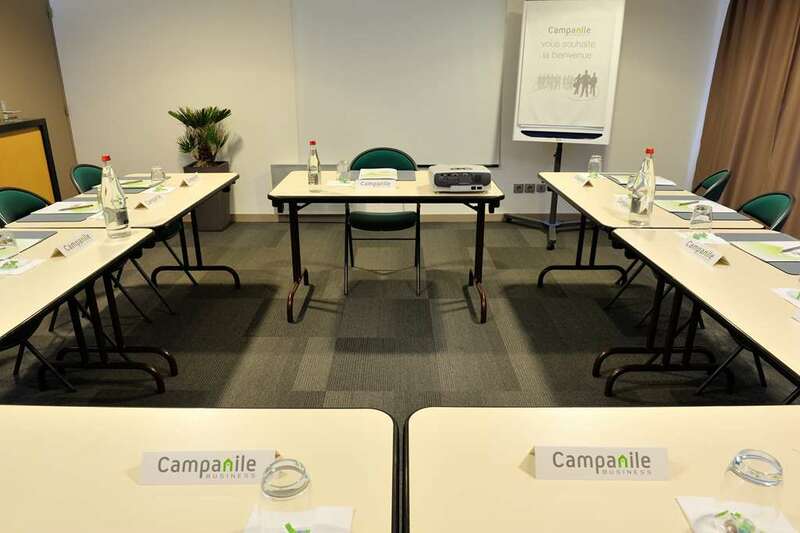 Find all of the Campanile Hotels in Saint Chamond. 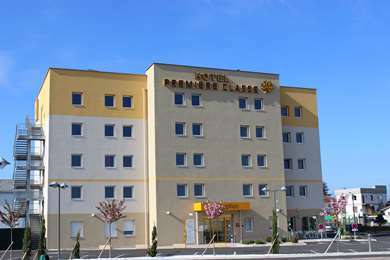 From Lyon/Saint-Etienne via A47: exit 15 Aire du Pays de Gier. From St-Chamond Centre: direction Cellieu. 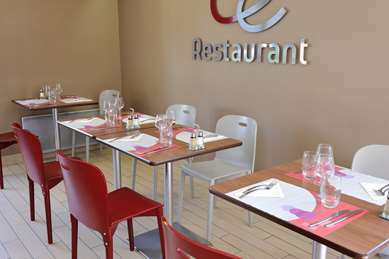 At the traffic circle at exit 15 Aire du Pays de Gier enter the Total station and take the side lane on the left.